Blue Isle Studios have this week made their new Valley game available to pre-order pre-download ahead of its imminent launch later this month on August 23rd, 2016 when it will be available on PC, Xbox One and PS4. The first person adventure takes you to a hidden location within a remote region of Rocky Mountains equipped with a L.E.A.F. (Leap Effortlessly though Air Functionality) suit to navigate the terrain and dangerous ruins. 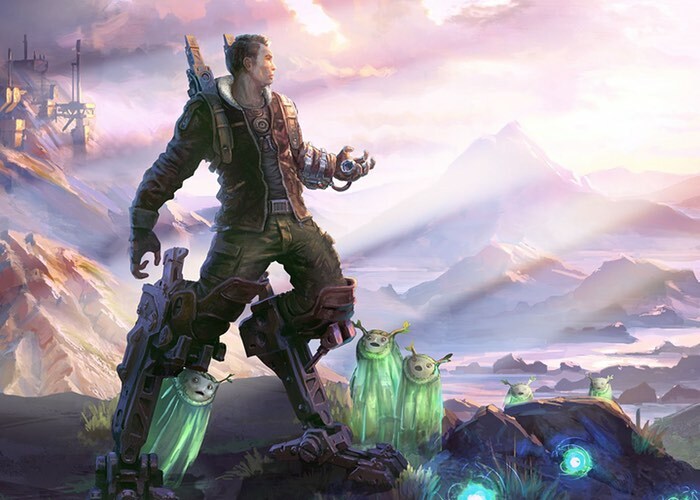 Check out the launch trailer below to learn more about what you can expect from this latest action adventure game from the team at Blue Isle Studios explain more about what you can expect from the title and its gameplay. Explore the vast and beautiful world of Valley using the power of the L.E.A.F. suit: a fierce exoskeleton that grants exceptional speed and agility along with the phenomenal ability to manipulate the life and death of all living things. Valley is a First-Person adventure unlike any other. Hidden deep within a remote region of the Rocky Mountains, you find yourself bewildered within a secluded valley. With the power of a recently discovered L.E.A.F. suit (Leap Effortlessly though Air Functionality), run and jump your way through beautiful forests, dangerous ruins and vast environments; all the while utilizing the power to control life and death to uncover the startling secrets of the mysterious valley. Be forewarned, with these new-found abilities comes a daunting repercussion: the more you experience death within the valley, the more the valley will die around you. Move faster, jump higher: make your way through the world of Valley using the incredible speed and agility of the L.E.A.F. suit. Manipulate life and death: the L.E.A.F. suit grants its pilots the phenomenal power to both give and take life from any living thing. Experience a unique twist on death: the more you die, the more the valley will die around you. Enhance yourself: upgrade your suit with new abilities and strengths. Explore: the world of Valley is filled with forests, wildlife, ancient ruins, charming creatures, dangerous enemies and other mysteries.